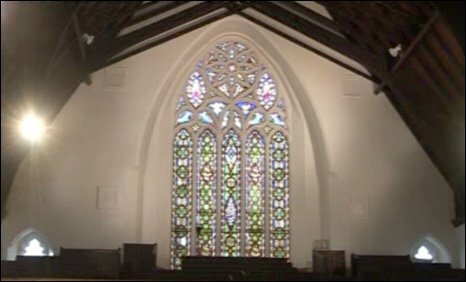 Leaders at a Grade II listed chapel in Cardiff say they are making a "leap of faith" by selling the building without a new home to go to. Ebenezer Chapel in Charles Street was built in 1855 with ballast from coal ships returning from the Middle East and opened as a congregational church. It has been a Welsh independent chapel since 1978 and its leaders say "the good Lord will guide us to a new home". The landmark building has been sold to developers for an undisclosed sum. The chapel, in central Cardiff, boasts a congregation of 250 Welsh speakers and learners with an "active" Sunday school. Its list of community-based activities includes being the home for the city's No Fit State circus and a former base for what is now National Dance Company Wales. 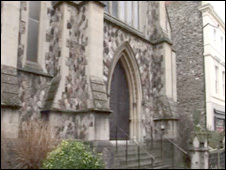 But with its listed status - a new roof would cost £200,000 - and difficulties with parking, chapel leaders say it is not accessible enough or adaptable enough for their purposes. Secretary Malcolm Thomas said: "We're moving with some misgivings because Ebenezer church is as old as modern Cardiff. "The main reason, certainly, is that we believe the mission of the chapel is to play an active part in the community and with the present situation in the city centre, all the redevelopment, parking in Charles Street has become a severe problem. "We hope to move while we have a strong congregation rather than moving in five or 10 years time and think we missed the boat." The chapel took over the building when the congregational church joined the city's United Reformed Church union. They hope to find or build a multi-purpose centre which it could use for community events at least six days per week. It is understood they will vacate the chapel in the summer. Mr Thomas added: "Naturally, being Christians, we are doing this in faith. It's a leap in the dark. "We believe the good Lord will open avenues for us to establish ourselves in an area where we do not want to compete with any Welsh-speaking church or chapel within the boundaries of the city." The chapel organ is also up for sale, with adverts going out across Europe to find a buyer.